Google’s just improved its Commerce Search powers, giving online retailers a richer interface for consumers to find the right type of goods. Google‘s just improved its Google Commerce Search powers, giving online retailers a richer interface to offer online consumers trying find the right goods. 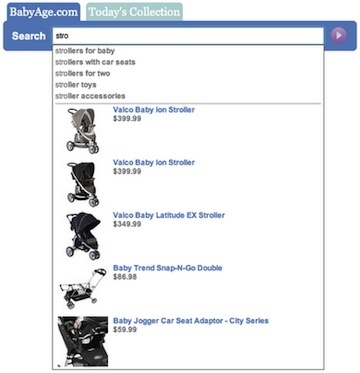 Google says it’s “building on the capabilities that have proved useful to” its retail partners, with a new system that will “help create an even more interactive and engaging experience for shoppers and retailers.” Google even toots its own horn a little, noting that when sites like BabyAge incorporated Commerce Search it resulted in a 64% increase in site searches–an indicator that customers are spending more time digging through the site, and have a better chance of actually buying products rather than bailing. It’s clever stuff, and could easily boost sales for Google clients (and possibly deliver detailed data to Google to help it profile which type of consumer is habitually searching for and buying which products). We also sense that this could be the groundwork for a rich NFC-enabled shopping experience somwhere down the line. If shoppers in real stores had access to this kind of rich data, accessed via Google’s engine through local NFC tags instead of online search parameters, then they’d also benefit from the same sort of assisted shopping experience.